Every single day customers report they never receive an online order. According to the 2017 Shorr Report, over 30% of online customers have reported their online purchase missing/stolen from their front porch. With an estimated 25.9 million American having experienced package theft, a special team of behavioral research scientists from the University of Florida, and the industry group Loss Prevention Research Council, are systematically working to reduce delivered item theft using simulated and actual porch areas, reported crime event data sets, and an array of integrated technologies and tactics. The UF & LPRC science team applies and adjusts situational crime prevention tactics that affect would-be offenders. Effective countermeasures must be ingrained into the minds of potential thieves to convince them “not here, not now.” Situational tactics are designed to affect an offender’s ease of theft action (disruption), increase their perceived fear of detection and sanction (deterrence), and reduce realistic rewards of theft (benefit denial). Another key point of the ongoing R&D is offenders could be delivery personnel, dishonest customers trying to scam the retailer, or of course third-party thieves searching for, or just seizing, a theft opportunity. A recent LPRC study has been conducted to identify variable constructs of asset, environmental, and population characteristics that may lead to porch piracy, as well as to gain insight on the offender perspective through interviews with porch pirates. Please click here to view the introductory paper, available to all LPRC members. The UF & LPRC team is uniquely positioned to conduct this problem-solving research since their mandate is to develop both practical and evidence-based strategies for almost 70 major retail organizations. The LPRC works up anti-theft, fraud, and violence protocols using multi-method research including extensive actual offender interviews, sophisticated data modeling, and rigorous field experiments. In the case of porch piracy, the group breaks down the online order to delivery process (crime-scripting) to look for vulnerability and protective “treatment” opportunity points, then works to trial and integrate promising practices from purchase, transport, delivery, and return-to-vendor. Please contact the University of Florida Crime Prevention Research Team, and The LPRC team at operations@lpresearch.org, or 352-222-8202 for further questions. Retail crime is typically high year-round, but tends to spike during the busy holiday shopping period leading to billions in losses and occasional violence. Over 65 national retail chains and 75 security technology companies are working together with the Loss Prevention Research Council (LPRC) and the University of Florida to help meet the need for cutting-edge crime reduction solutions, many of which are featured in the Innovation Lab mock store. 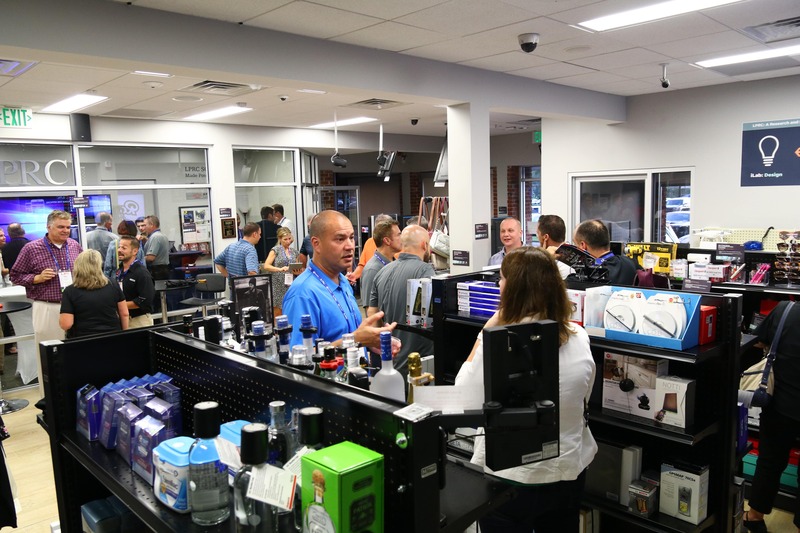 The newest edition of the Innovation Lab, which includes a simulated in-store environment, parking lot and centralized command center environments, houses over 100 of the latest and upcoming prevention and detection technologies. The LPRC has conducted research to support the evidence-based needs of loss prevention decision-makers since 2001. The organization first showcased their Innovation Lab 5.0 to their members during the IMPACT conference in October, an annual event hosted at the University of Florida designed to help retailers and solution partners better employ research tools to assess the real-world impact their loss prevention efforts have on sales, crime, and loss levels. Retailers are free to schedule a tour of the lab to see the technologies in action. Dr. Read Hayes and his research team work to keep all solutions current and on the cutting-edge.